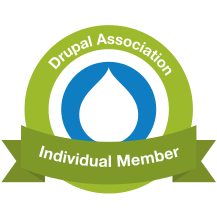 I don't have time for this, but I've always got time for Drupal. Read more "Quick rundown of Drupalcamp London 2017"
There's Pancake Day, and St David's Day, so it must also be time for Drupalcamp London Weekend! Read more "I'll be at Drupalcamp London 2017, next weekend; see you there?" I'm going to Drupalcamp London and the CxO day: see you there? Businessing all the business, then Drupaling all the Drupals. Read more "I'm going to Drupalcamp London and the CxO day: see you there?" Meeting people is easy. Talking to them so they don't stifle a yawn is the hard part. Read more "My review of Drupalcamp London 2015"
Drupal 8, entities and drinking at lunchtime. OK, that's it: bye! Read more "Roundup of Drupalcamp London 2014"
Read more "I'll be at Drupalcamp London this weekend"